Due to the dangerous nature of a career in the Armed Forces, it’s vital for military personnel to have the right cover in place to protect their families. According to government statistics, the UK currently has over 192,400 active members of the Armed Forces. As one of the most dangerous professions to enter, protecting your loved ones in the unexpected event of your death has never been so important. Meet the cost of childcare? Cover the cost of a funeral? Whilst some financial aid is provided by the Armed Forces if you were to lose your life whilst serving, it’s unlikely this will cover all aspects of your life. Especially if you have multiple dependants who rely on you. 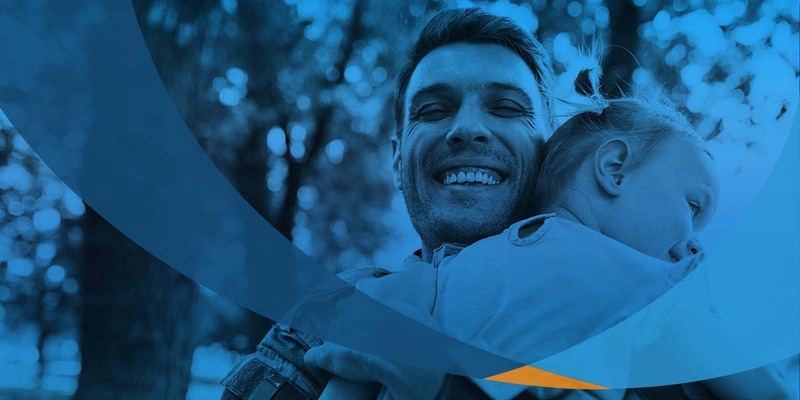 Having adequate life insurance in place can ensure that your family are properly looked after financially and their lives disrupted as little as possible. As a result, many members of the Armed Forces are looking into taking out military life insurance. Having life insurance in place can be beneficial not just for serving military personnel, but also ex-military personnel and military spouses. The term ‘military life insurance‘ is used to describe life cover that protects current serving members, ex-servicemen or the families of those related to Armed Forces members. For each of these categories, the aspects of life insurance differ, but the good thing is – cover is available for all of them! Obtaining life insurance as a serving member of the Armed Forces can be affected by your upcoming deployment status, role within the military as well as various personal factors. As an active member of the Armed Forces obtaining life cover can prove slightly more difficult than the average civilian, but that’s not to say it isn’t possible. When applying for a policy, all of the standard elements will be taken into account; age, smoking status, medical history etc. However, depending on your upcoming deployment status your premiums could be increased (or loaded) further. For example, if you’re currently deployed or are due to be deployed within the next 6 months, it’s highly likely you’ll be charged increased premiums for the first 2 years of your policy. You may also incur loaded premiums depending on your role within the Armed Forces. For example, premiums for those working in bomb disposal, diving and aviation-related roles tend to be higher due to the associated risks. Once your life insurance has been arranged, the cover will protect you regardless of what country you’re deployed to and your policy is likely to include at war risks, meaning that if you were to die at war, the cover would still be valid. With regards to all other terms of the life insurance cover, these will not differ to that of a civilian. A sum assured is specified and premiums are paid each month. If you die during the policy term, a pay out will be issued to your loved ones. Terminal illness cover is usually included as standard. This means that if you were to be diagnosed with a terminal illness and given less than 12 months to live, an early pay out could be made. These funds could allow you to make future provisions for your funeral, enjoy time with your family or make adaptations to your home. As well as military-related causes of death, your life insurance policy will also cover natural causes and accidental death away from service. Some military personnel will obtain a policy just to cover their period of deployment. However, it could be more cost-effective to secure long-standing protection. Occasionally, active military members take out life insurance prior to deployment with the aim of cancelling it upon their return, meaning they’re only covered whilst away. Whilst this is an option, as you age your monthly premiums increase. They could also be affected if you were to change roles into a more dangerous field, are due to be deployed to a higher risk area or suffer a medical condition, (whether forces related or natural). As a result, continuously taking out short-term policies is likely to cost you more than a single long-running policy. Details of your status only need to be accurate at the time of application to ensure your policy is valid. Therefore, if any of the above factors come into play but your policy is already running, you’ll not experience increased premiums. As an active military member, it’s highly likely you’ll be entitled to death in service compensation should you pass away whilst serving. The amount of compensation received by your loved ones is determined by your time in service, rank and the cause of death. However, if you were to leave the Armed Forces, your death in service benefit would no longer be applicable, making the need for life insurance even greater. Whilst it’s likely you’ll pay more on a monthly basis for life insurance, the Ministry of Defence (MoD) does provide a scheme where it’ll provide up to 90% of any additional premiums charged for being in the military for a sum assured up to £179,000. The MoD is currently under contract with Aon (underwritten by AIG) to provide the military with personal accident and life insurance cover (or PAX). PAX is currently the preferred insurance choice within our Armed Forces and has approximately 57,000 active policyholders. The plan offers personal accident protection first and foremost but comes with the optional extra of life insurance and critical illness cover. One benefit of a PAX plan is that it has been designed to enable members leaving the military to continue their cover. This could be a good option for you, however, it’s still generally a good idea to compare additional quotes. Premiums can be taken either from your salary or by direct debit. It’s important not to overlook the need for life insurance if you’re the spouse of a serving military member. Your death could still bring significant financial instability. Often, due to the dangerous nature of the role, in a partnership where one member is serving in the military, life insurance for the non-serving spouse is frequently overlooked. But what would happen if this partner was no longer around to look after the children? How would their income or the roles they fulfil be replaced? The answer to these questions is likely to highlight the importance of military spouse life insurance. The good news is, taking out life insurance as the spouse of someone in the military doesn’t differ from the average civilian taking out a policy. Acceptance and premiums are based on the risk the policyholder poses to the insurer and because the profession of your spouse doesn’t directly put you at risk, your eligibility for cover won’t be affected. Whilst it’s possible to secure a joint life insurance policy if you’re in the military, it may not be the most cost-effective option. Generally speaking, a joint life insurance policy can save you approximately 25% on your premiums, compared to taking out two single policies. However, the main problem with joint cover is that it’ll only ever pay out once (usually upon first death). This leaves the remaining partner uncovered and needing to seek a new policy. With a joint policy where one partner is a member of the Armed Forces, the increased risks associated with this partner are likely to inflate the overall premium. As a result, this could leave the non-service member paying over the odds for their part of the policy. It’s possible, therefore, that the cost of joint cover could end up similar to that of two individual policies, which would provide twice the coverage. When retiring from the military you’ll no longer be entitled to your death in service benefit. However, obtaining affordable life insurance should now be easier than when you were serving. Leaving the military may leave you questioning what benefits you have in place if you were to pass away. Unfortunately, the death in service benefit you were entitled to as an active member of the Armed Forces is no longer valid. This could mean that if the worst were to happen to you, your loved ones would not be supported financially. However, the good news is that now applying for life insurance doesn’t differ to if you were a civilian. Obtaining life insurance as a military veteran involves exactly the same process as if you were never a member of the forces and requires the same information to be disclosed. Your premiums will be calculated based on personal factors (age, weight, smoking status) and premiums will be made for the policy term. If you were to pass away during the policy, a pay out will be made to your loved ones. Sadly, serving in the Armed Forces makes you more susceptible to suffering a mental health illness compared to the average civilian. This could affect your ability to obtain life insurance. Unfortunately, the amount of military personnel suffering from post-traumatic stress disorder (PTSD) has risen by +2% over a 10 year period. PTSD and depression are strongly correlated with substance misuse and unfortunately suicide, both of which will impact your premiums or worst-case scenario your ability to secure cover. Due to the health-related issues associated with excessive drinking and/or drug use, insurers will load premiums to mitigate their risk of having to pay out. This is also the case for suicide attempts. Whilst it’s still possible to obtain life insurance if you have previously attempted to commit suicide, time since the incident and any treatment received will be taken into account. If you suffer from PTSD, substance misuse or have ever attempted suicide it’s essential you disclose this during the application process. Failure to do so could invalidate your policy. If you die during service, your loved ones may receive some help funding your funeral but not necessarily if the cause of death was natural. If you pass away whilst in service, it’s likely that your loved ones will receive both emotional and practical help from the military. This also includes funding towards your funeral. With the cost of funerals rising by +122% over the last 15 years, this expense can cause a strain on the family. Therefore, any help funding the cost from the military is welcomed. The person died while in hospital receiving treatment for a disablement for which they received a War Disablement Pension. If none of these are applicable, such as dying of natural causes, the task of funding your funeral will fall to your loved ones, highlighting the importance of having adequate cover protection. Whilst a life insurance policy can provide the funds needed to cover your funeral, you may also wish to consider a funeral plan. This enables you to lock in the cost of your funeral at today’s rate, avoiding further price inflation. It also ensures you can shape your own ceremony. However, a funeral plan will only cover the cost of your funeral director (not all third-party costs) and won’t provide your loved ones with any financial aid with regards to other aspects of their life. If you’re looking to cover more than just the cost of your funeral, a life insurance policy is generally more suitable. Most life insurance policies offer the option to add critical illness cover at an additional cost, even if you’re in the military. This extra level of protection provides a pay out if you’re diagnosed with a serious, yet non-terminal illness, specified within the policy. Common illnesses covered include certain cancers, heart attack, blindness and stroke. Having access to an early pay out could allow you to cover a lost income or fund adaptations to your home to help cope with your condition. A large number of critical illness policies will also cover your children, providing a pay out if they’re diagnosed with a severe medical condition. It’s worth noting, however, that upon a claim, the cover expires. Certain positions within the Armed Forces such as bomb disposal, diving and aviation may have exclusions added to their policies due to the added levels of risk associated with these professions. When it comes to calculating how much life insurance you need it’s a good idea to factor in the value of your military pension. Generally speaking, if the worst were to happen to you, your pension would be passed to your spouse or partner. Whilst, the proceeds from your military pension could reduce the amount of cover you need, it’s also important to factor in the time until you are able to draw down these funds. Despite popular belief, military specialist life insurers don’t really exist. There are a number of companies who only arrange life insurance policies for Armed Forces personnel but the insurers which actually provide the cover are usually, mainstream providers. To provide members of the Armed Forces with life insurance, most insurers when processing your application will employ additional underwriting. Further to this, you may have to fill in a questionnaire tailored specifically to your military service. To ensure you receive the most suitable cover at the most cost-effective price, it’s best to compare multiple quotes from a range of providers. Writing your life insurance in trust passes ownership of your policy to a trustee. They’ll then be responsible for distributing a pay out on your behalf, like an executor of a will. Providing more control over your policy. Writing your life insurance in trust detaches the proceeds from forming part of your estate. This could reduce the amount of inheritance tax you pay, (40% over £325,000), meaning your loved ones receive a larger percentage of the pay out. This detachment also means your loved ones don’t have to go through probate to gain access to funds. The probate process usually takes 6-to-9 months, but can take years. Therefore, your loved ones will also receive the money faster. Finally, by putting your life insurance in the hands of a trustee, it means you can specify how you wish the pay out to be distributed and when. For example, you may specify that you want your pay out to go to your children, but only when they turn 21. Quotes can vary significantly in cost between insurers. To ensure you receive the most cost-effective option, it’s important to compare a range of policies. At Reassured, our dedicated impaired risk service team can help provide a wide range of specialist quotes to help find military members the right solution. Quotes can also be provided to help spouses and retired military personnel with the most cost-effective option to meet their needs. We’re here to help our dedicated servicemen and women secure the perfect policy.